WELCOME to Geelong’s premier racing stable. With owners from around Australia, the stable has captured Derbies, Oaks, and Cups as well as Group and Listed races in Victoria and interstate. We can make the exciting journey into racehorse ownership fun and easy no obligation advice on the best options. We attend the sales each year and can help owners purchase yearlings and tried horses while we regularly have unraced horses, including some we have bred and raised at Emsley Lodge. Our first-class facilities on a 25-hectare complex include 20 stables, spacious day paddocks, treadmill and a testing uphill training track which give horses the opportunity to reach their potential. Variation is our point of difference and horses thrive in the country environment where the stable prides itself on its flexibility to meet the needs and idiosyncrasies of every horse. Committed to getting the best results for our owners, we provide regular horse updates via email while our popular weekly Emsley Lodge video is an added feature. For a no-obligation inspection of our facilities and/or to explore opportunities with our stable you can contact us here. Emsley Lodge is excited to secure this very neat SMART MISSILE colt from the Mastercraftsman mare ZADOREE from the Melbourne Premier Yearling Sales. 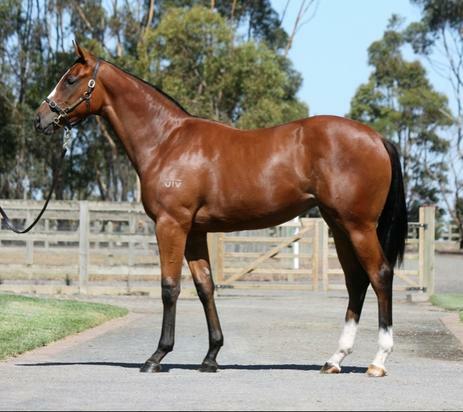 We have limited shares available in this all quality, strong yearling filly by super sire MORE THAN READY out of a ZABEELl mare LALIBELA. 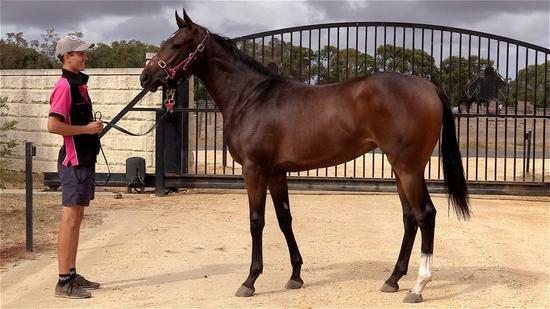 She was purchased at the Inglis Melbourne Premier yearling sales. We are excited to offer this magnificent filly by boom sire TAVISTOCK winning New Zealand winner DIAMOND SCHWARZ, who is half-sister to former champion New Zealand 2YO filly CROSSYOURHEART and Gr3 winner GOTTA HAVE HEART. We are excited to offer a half-sister to Emsley Lodge's PRINCE ZIGGY who has won 6 races this season, twice in Melbourne.